Speedo UK has shortlisted four agencies as it seeks to strengthen the brand's connection to swimming and watersports in the run-up to the Olympics. The international swimwear brand, which sponsors British Swimming and Olympic gold medallist Rebecca Adlington, is threatening to end its five-year relationship with specialist sports PR agency Brandnation. The company is understood to be seeking an agency to help with brand comms, with the aim of strengthening Speedo’s connection with watersports. Speedo’s marketing team has been holding a series of chemistry meetings with prospective agencies that will pitch for a long-term contract early next month. Brandnation is repitching for the brief. Sally Polak, Speedo’s UK and Ireland marketing manager, will oversee the process. ‘We are open to all ideas to move the brand forward – that could be with a more creative route or a campaign that is more traditional,’ she said. Polak declined to discuss the brief, but said direct communication around the Olympics was not included. Speedo is not an official sponsor of London 2012, but does back Team GB and athletes such as Adlington and Liam Tancock, who are key medal contenders. Polak joined Speedo, a subsidiary of Pentland Group, three months ago from her previous role as head of marketing at Vision Express. Brandnation was first appointed by Speedo in 2007 to handle day-to-day press office duties, as well as sponsorship support. It also helped prepare initiatives around the brand’s 80th anniversary celebrations in 2008. Speedo has most recently been in the news for its new Fastskin3 swimming costume, which was created by a team of British academics. 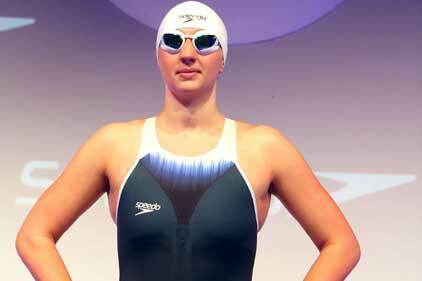 The new technology has now been approved by the sport’s governing body, FINA. Last month, Pentland paid £20m for Blacks Leisure Group, through its JD Sports subsidiary.